Juliet Madison Archives - Joelle Delbourgo Associates, Inc.
Juliet Madison had always wanted to write a book one day — and, okay, her first book wasn’t a complete accident, nor was it easy to write — but she had not planned on becoming a writer when she did. Now a bestselling and award-nominated author, Juliet has written over a dozen books of romantic comedy, women’s fiction, and young adult supernatural mystery. Juliet’s many talents and interests inform her writing. Before becoming a writer, she ran her own business as a naturopath (accordingly, a character in one of her books is a naturopath). Juliet also has experience in dance, art, internet marketing, and perfume sales. Now, she prefers to indulge her propensity for multiple careers by living vicariously through her characters. Her series Tarrin’s Bay is set to continue with one book for each month of the year. The series, which includes THE JANUARY WISH and APRIL’S GLOW (Harlequin Escape), features stand-alone stories that are yet linked by some reappearing characters and a common setting of a small coastal town. Her young adult series, The Delta Girls, centers on the five Delcarta sisters, who each have an extra-sensory perception that enables them to see what others can’t — and that puts them in danger. 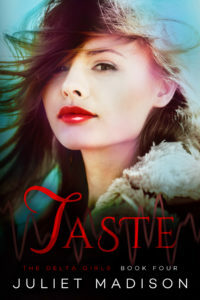 The five books in this series are named after the five senses; SIGHT, SOUND, SCENT, TASTE, and TOUCH, and are published by Diversion. Juliet’s romance novels also have magic in them, though in a different sense of course. These stories see characters on fun, emotional journeys of self-discovery — which often include hilariously embarrassing situations. The titles, published by Harlequin Escape, are FAST FORWARD, I DREAM OF JOHNNY, STARSTRUCK IN SEATTLE, HAUNTED EVER AFTER, and 12 DAVES OF CHRISTMAS. 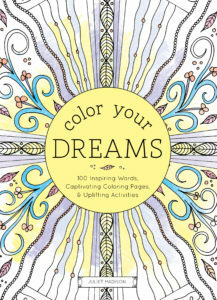 Using her insight as a motivational expert, Juliet has also created an inspirational coloring book for adults, COLOR YOUR DREAMS (Sourcebooks). The book features one hundred color pages, each of which is designed around an empowering word that encourages the person who is coloring to become who he or she wants to be. 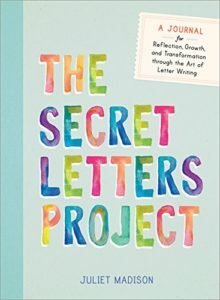 In its thoughtful use of language, this book enhances the already- meditative exercise of coloring. Juliet is an Australian native and lives near the beach on the beautiful south coast of New South Wales. There, she spends as much time as possible writing and as little time as possible doing housework. So much more than a coloring book! You have th e power to change your life-and Color Your Dreams can help! Each of the 100 coloring pages in this inspiring book is designed around an empowering word (such as love, courage, and kindness) that will encourage you to be the person you want to be. Guided meditations and mindfulness activities allow you to become even more deeply engaged with the positive elements you want to see in your life. As you color, let the power of language lift you up and set your spirit free! 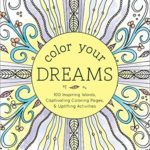 Color Your Dreams, is published by Sourcebooks (April 2016). Juliet Madison is a bestselling and award-nominated author of fiction. 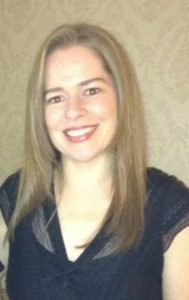 Before becoming a writer, she ran her own business as a naturopath and coached people through various health challenges. A self-taught artist, Juliet creates art to bring relaxation, inspiration, and creativity to others. She lives in Australia. The five Delcarta sisters have never believed in the paranormal, not like their woo-woo mother. Instead they bel ieve in the power of sisterhood, of romance, and rebuilding their lives after their father’s mysterious disappearance nine years earlier. Starting anew in the small town of Iris Harbor, they see potential in all. Coming in October: SOUND, the second book in the Delta Girls series from Diversion Books.